A Moscow arbitration court has found Rambler guilty of failing to disclose information on users' correspondence. The court rejected Rambler's complaint against an earlier ruling to fine the company 500,000 rubles (over $15,000) for failure to disclose information on users' correspondence, RAPSI news agency reported. 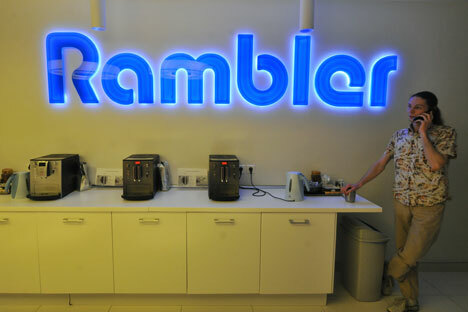 In July 2013 the Federal Financial Markets Service (FFMS) requested Rambler to provide information in connection with a probe into the Proyektnyye Investitsii company. The FFMS, and later the Bank of Russia, which had taken on its functions, was conducting an office audit of the company, which was being investigated for insider trading. The law enforcement agencies maintained that for the purposes of investigations of that kind, no special permissions to read suspects' emails were required. Rambler complied with all of the FFMS's requests and requirements with the exception of the request to supply email addresses of individuals linked to Proyektnyye Investitsii. To do that, Rambler would have had to open specific emails, which is against the law. Rambler cited Para 2 of Article 23 of the Russian Constitution: "Everyone shall have the right to privacy of correspondence, telephone communications, mail, cables and other communications. Any restriction of this right shall be allowed only under an order of a court of law" - and refused the FFMS's request. As a result, the Internet company is now accused of failure to comply with the federal service's request.